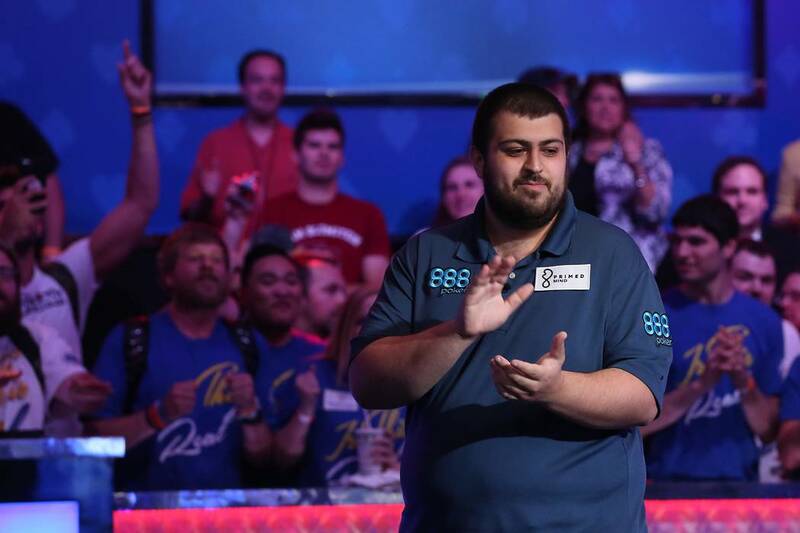 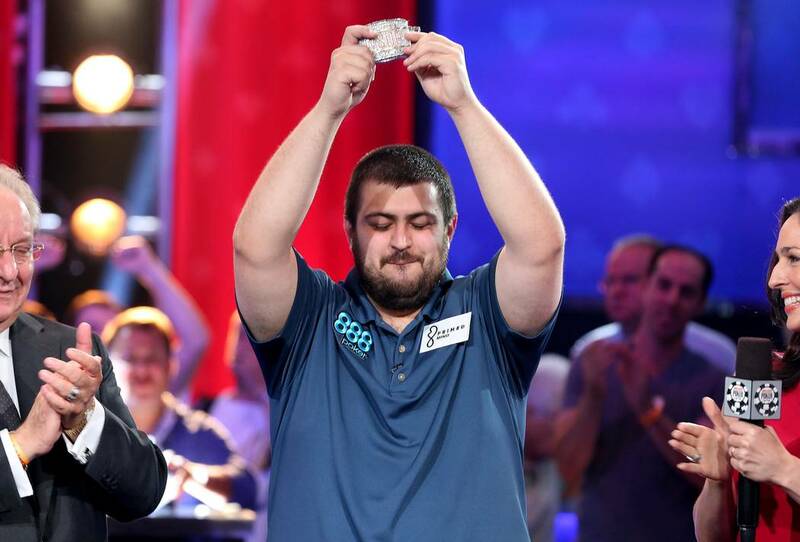 Scott Blumstein, a 25-year-old professional poker player from Morristown, New Jersey, won the $10,000 buy-in No-limit Texas Hold ’em World Championship early Sunday at the Rio Convention Center. 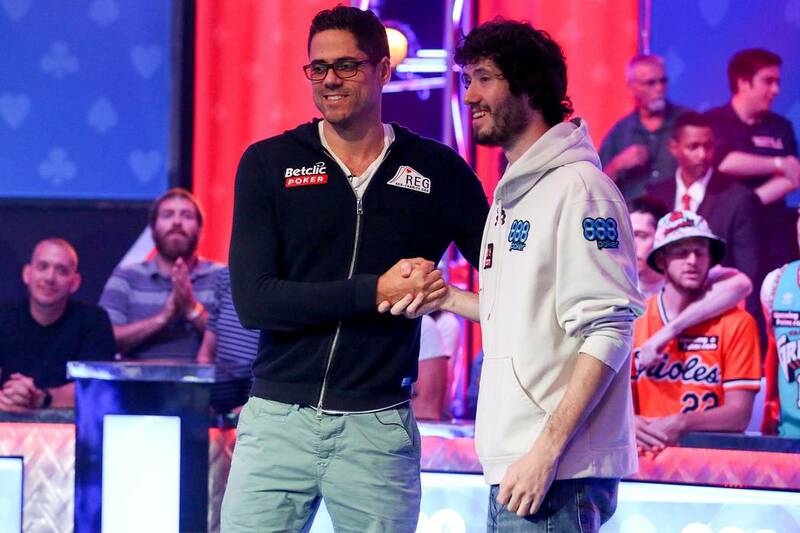 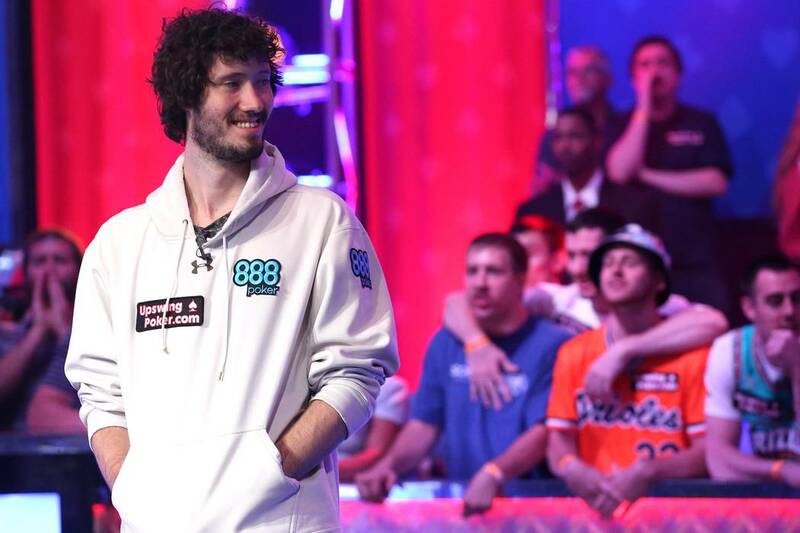 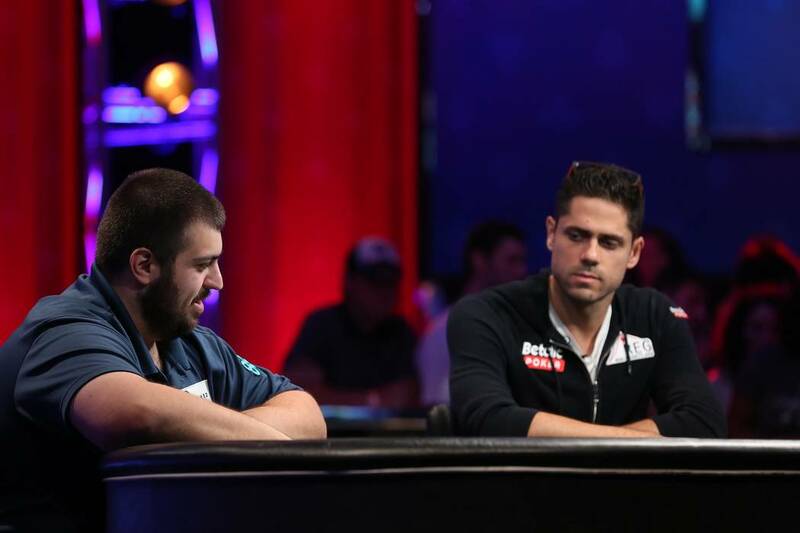 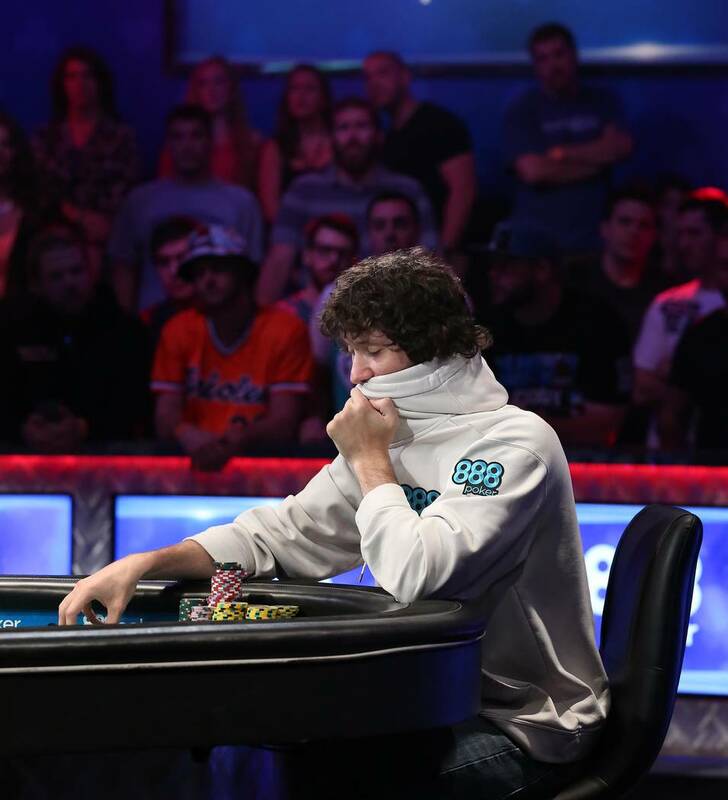 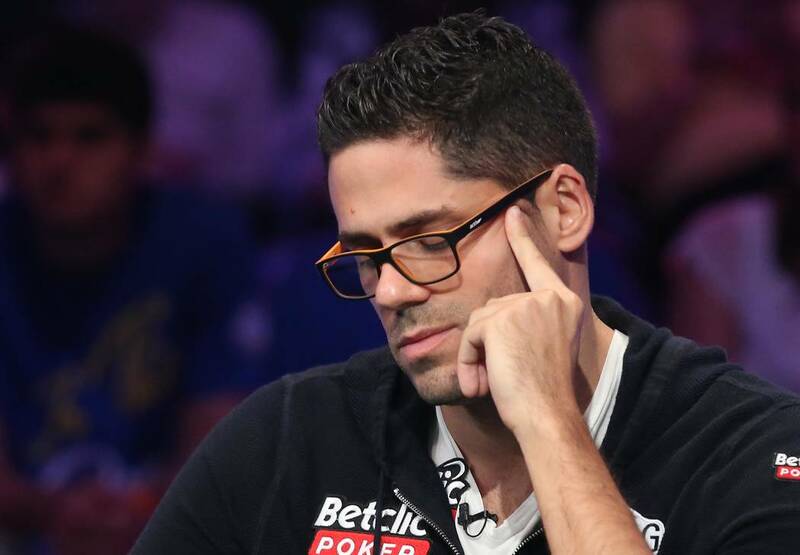 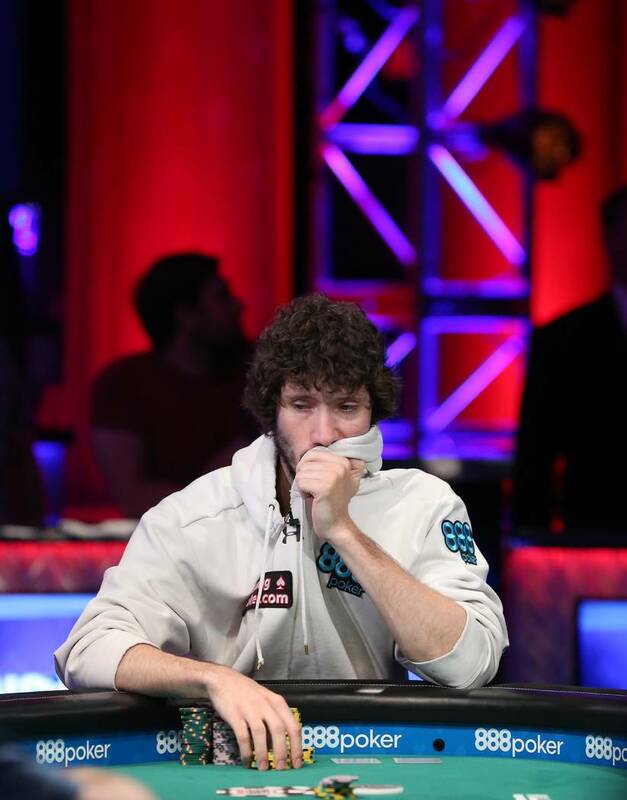 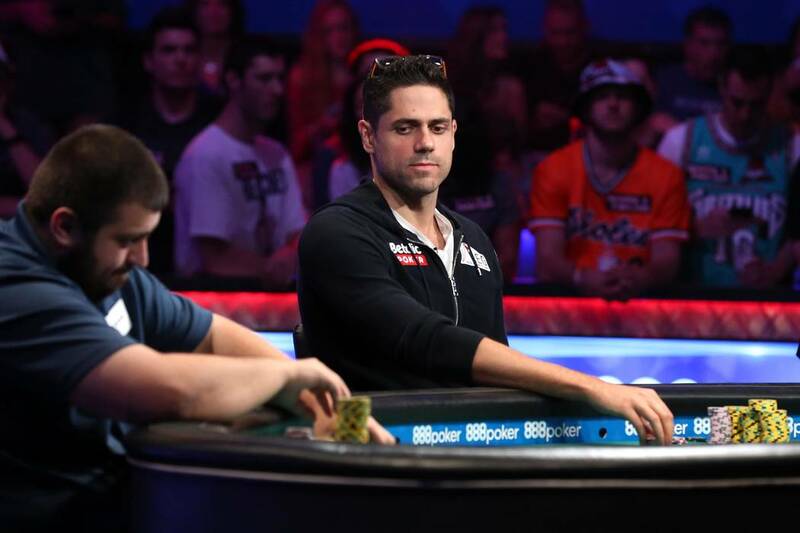 Scott Blumstein wanted to play the World Series of Poker Main Event last year but couldn’t afford the buy-in. 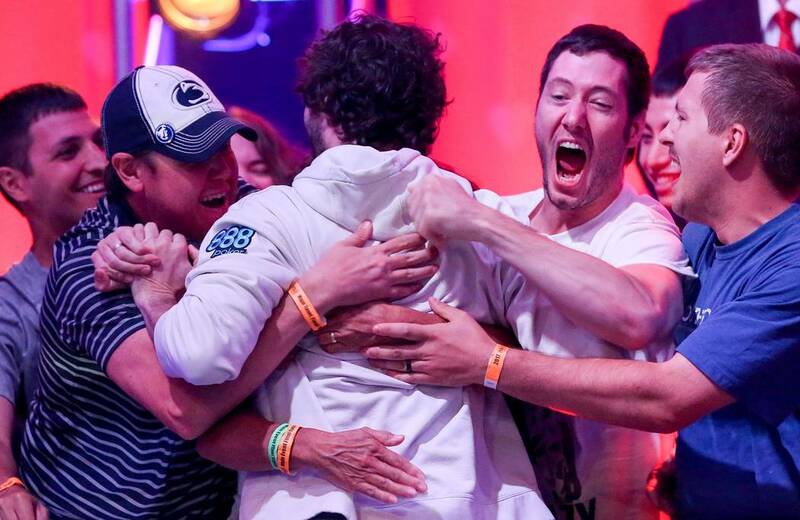 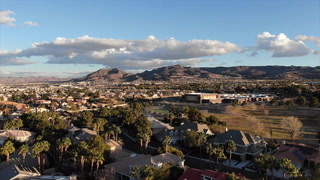 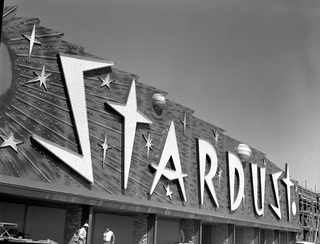 Instead, he went to Atlantic City and won a tournament for almost $200,000. 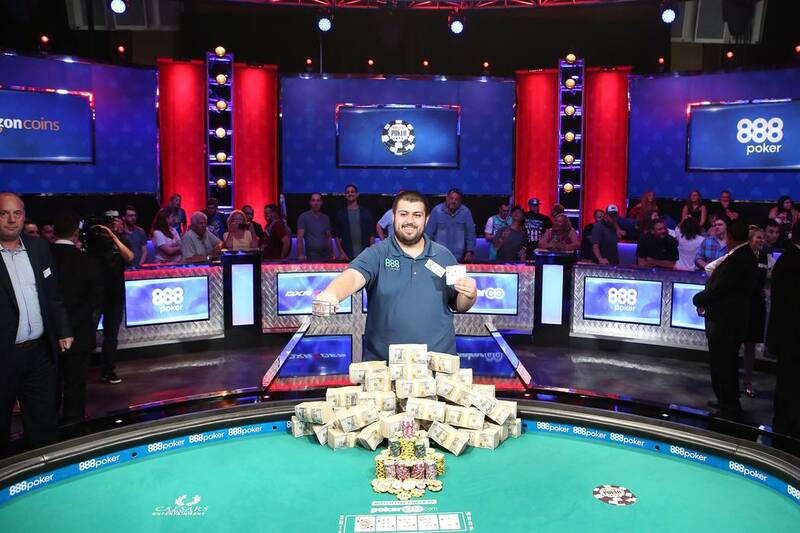 Blumstein parlayed that money into an even bigger prize early Sunday when he won the $10,000 buy-in No-limit Texas Hold ’em World Championship at the Rio Convention Center. 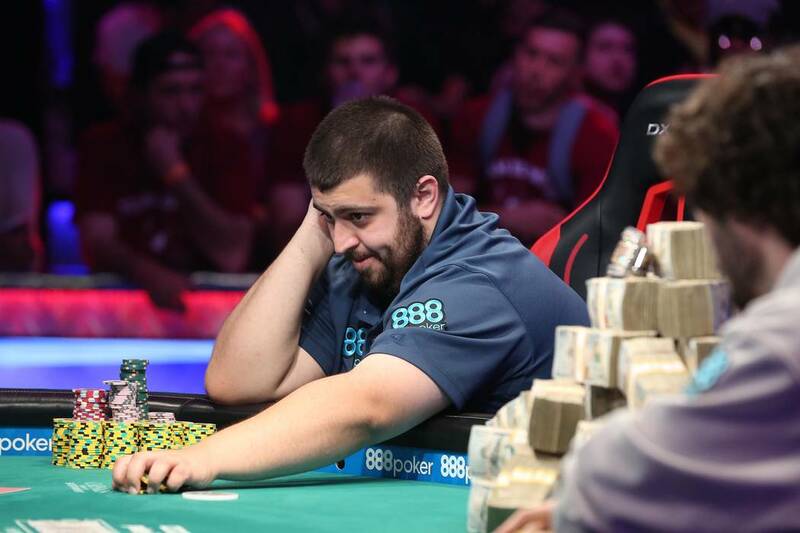 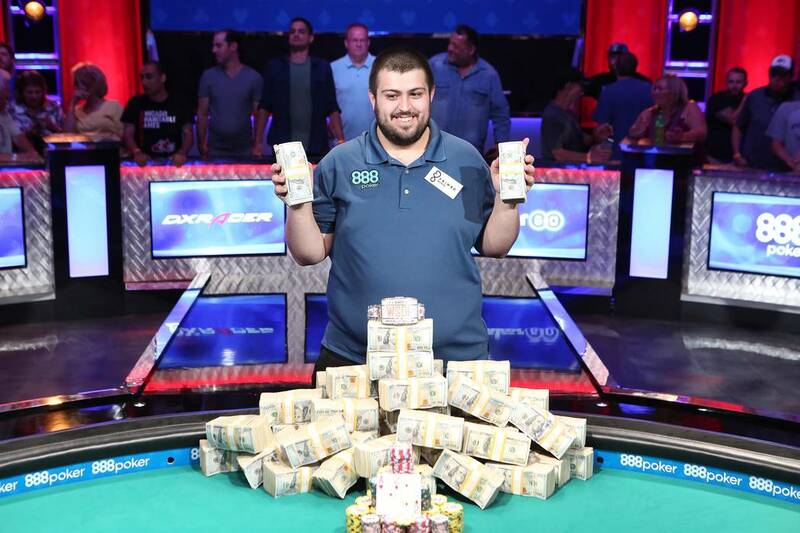 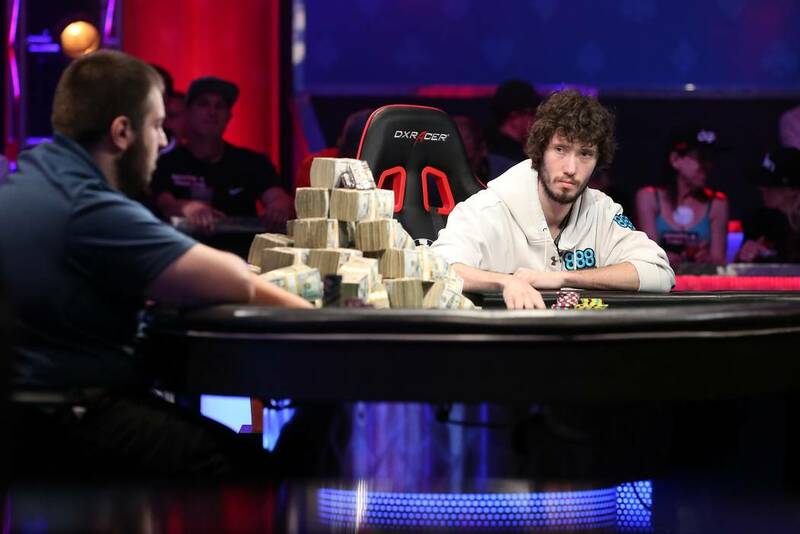 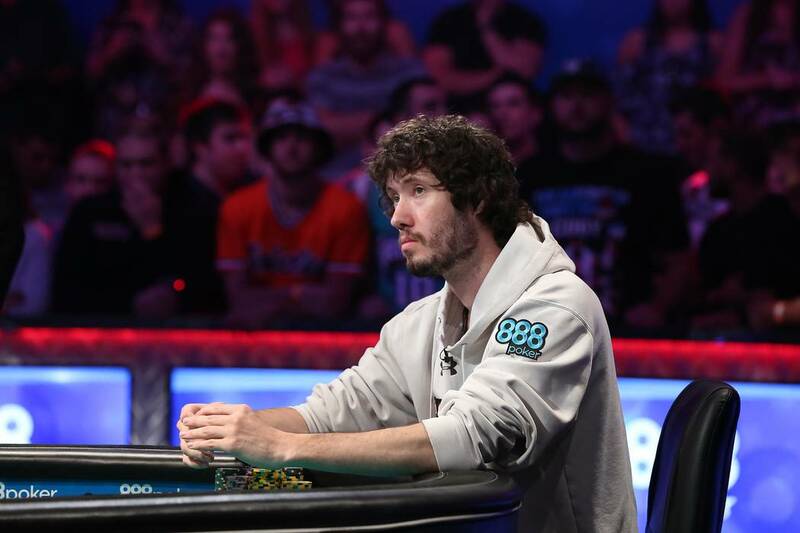 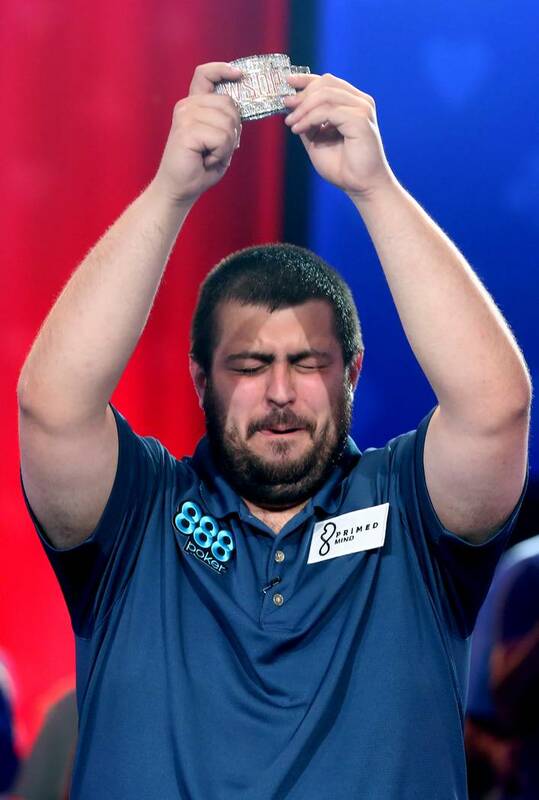 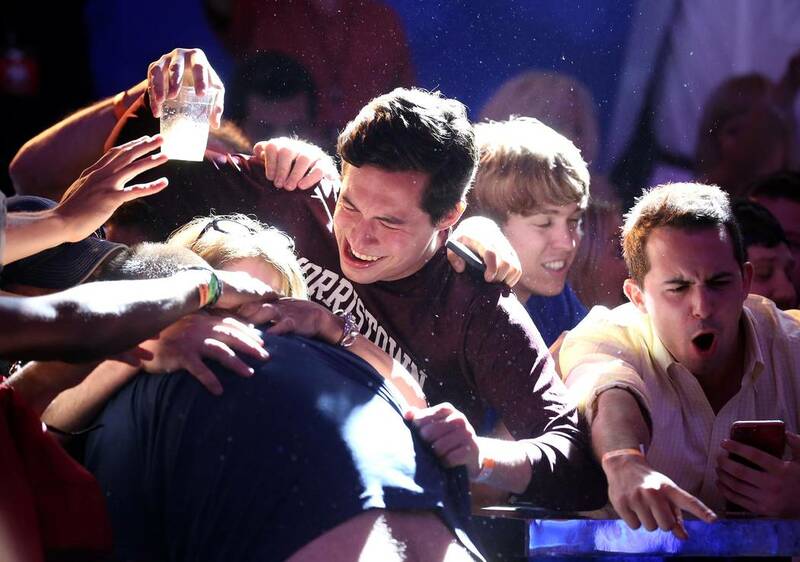 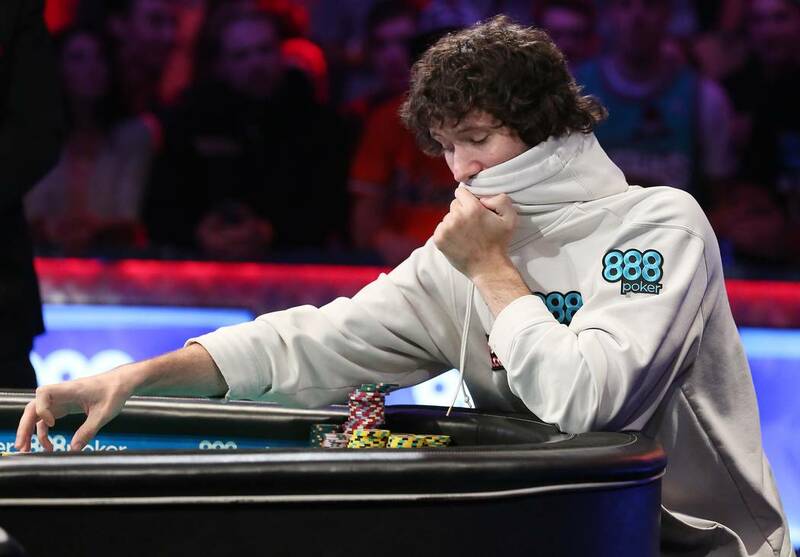 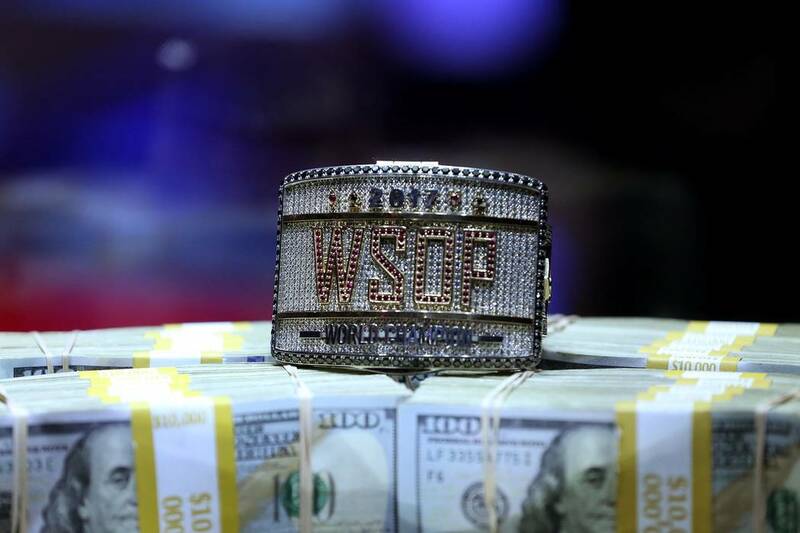 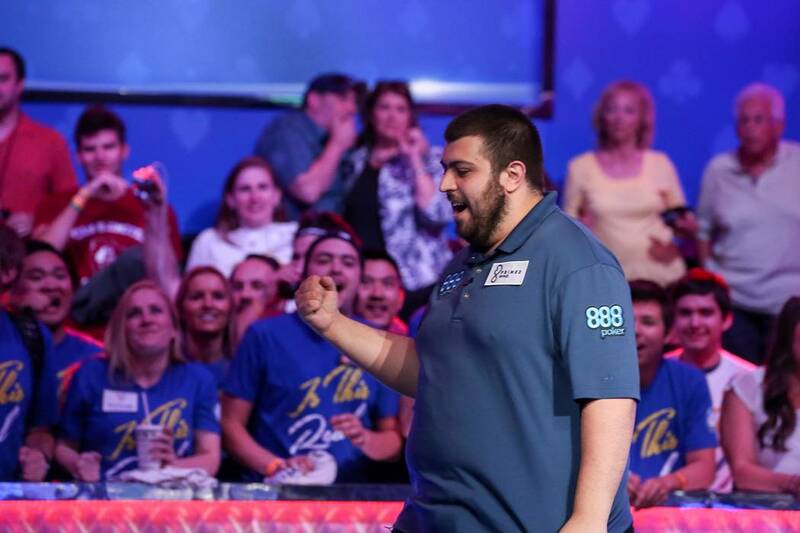 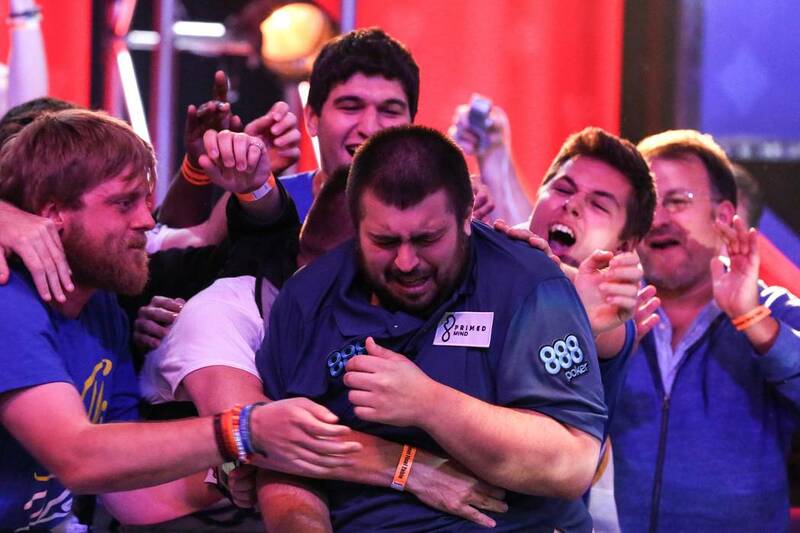 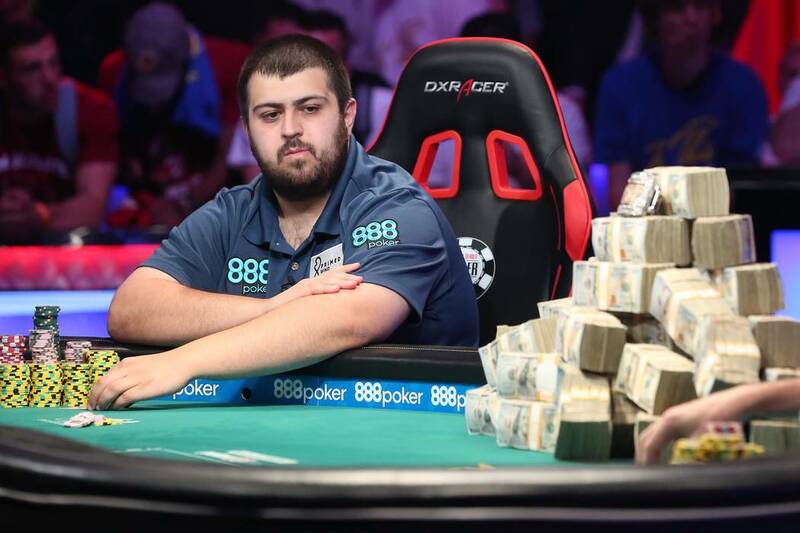 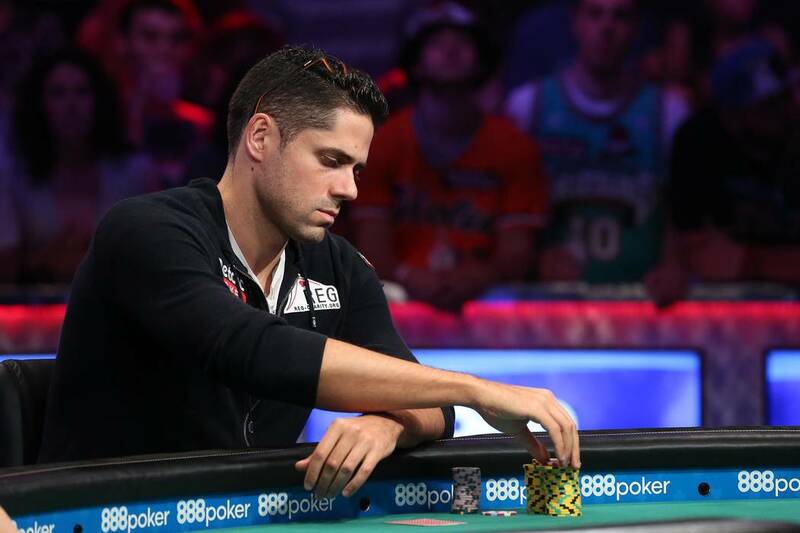 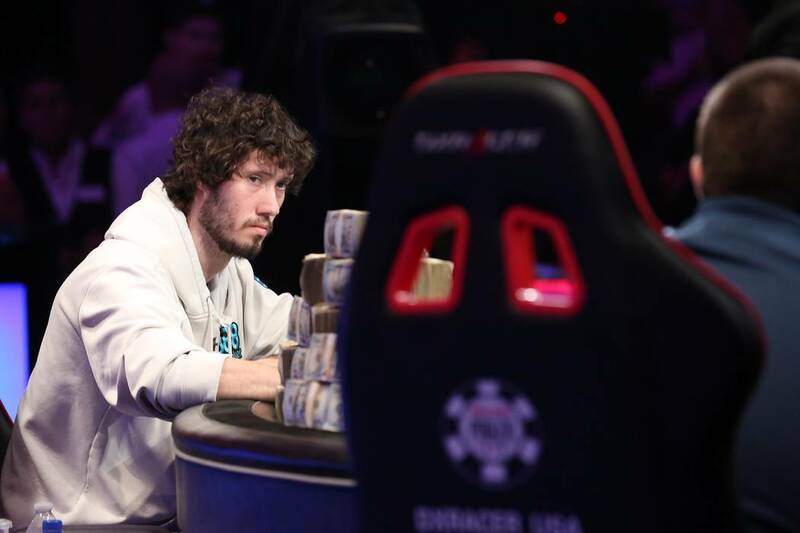 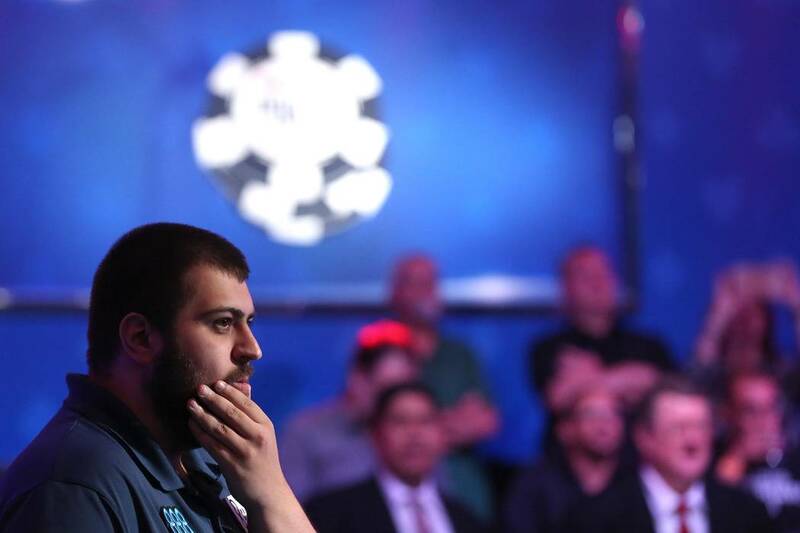 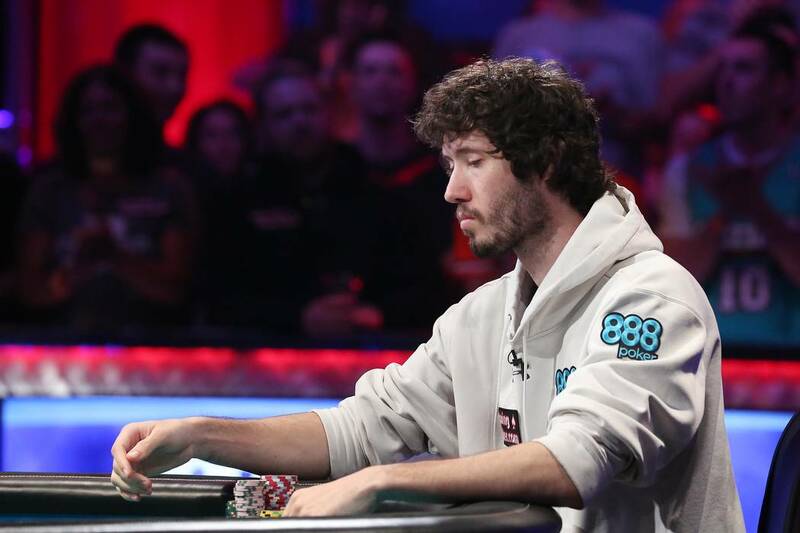 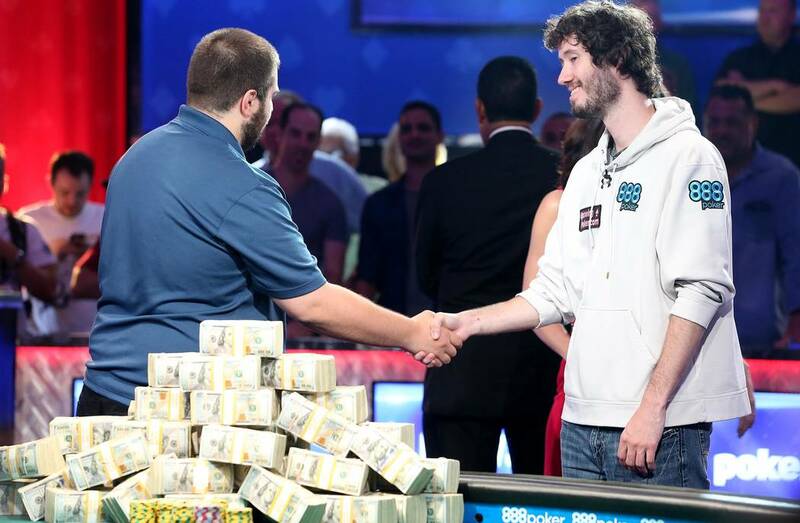 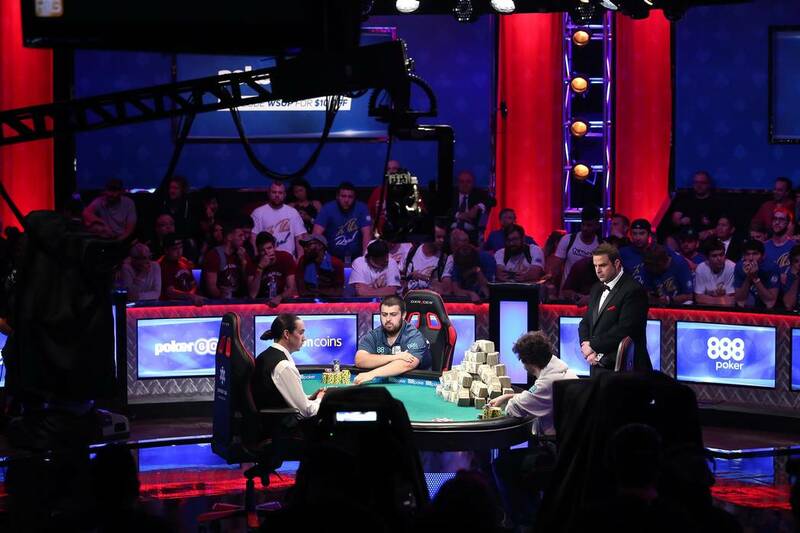 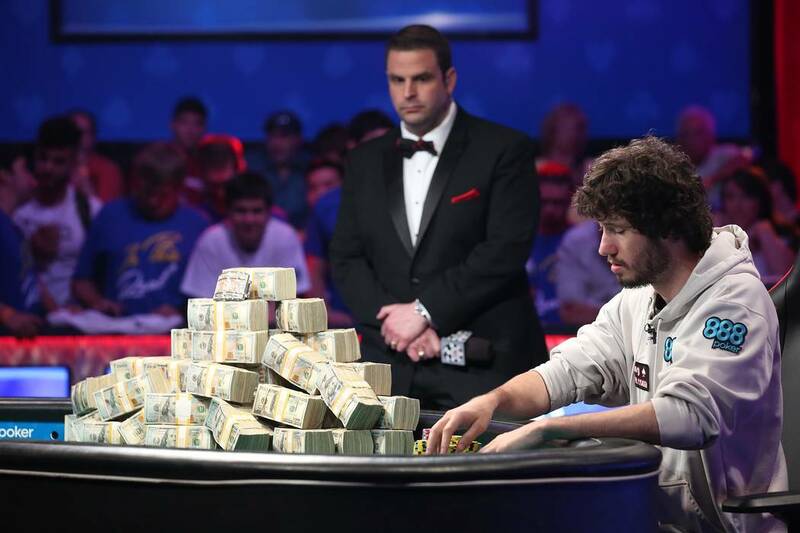 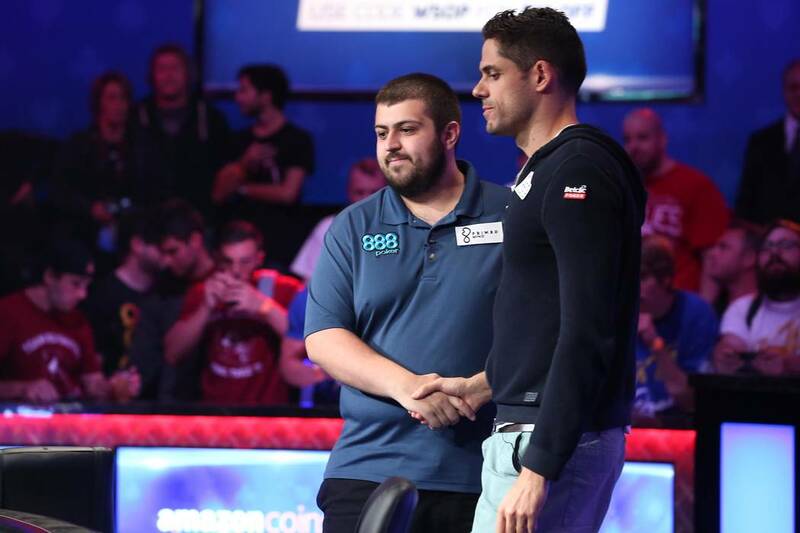 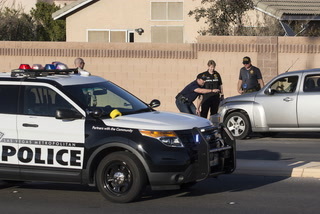 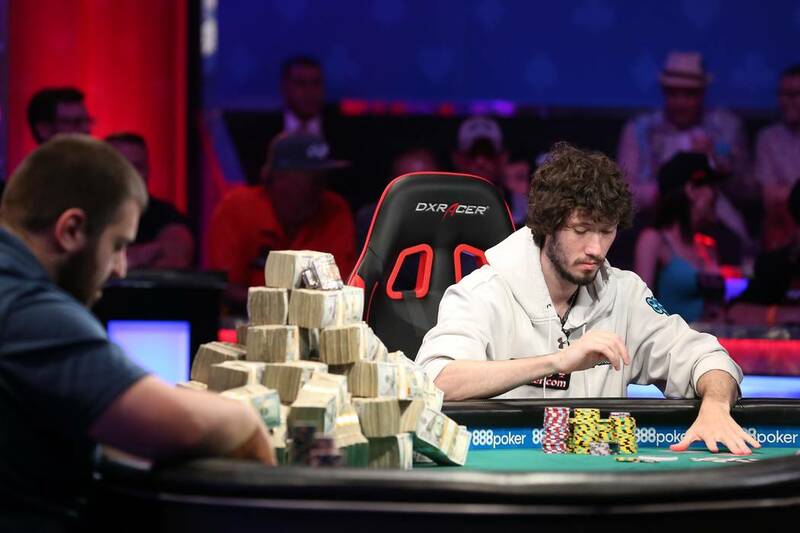 The 25-year-old professional poker player from Morristown, New Jersey, defeated Daniel Ott in a heads-up battle that lasted three hours to capture the $8.15 million first prize. 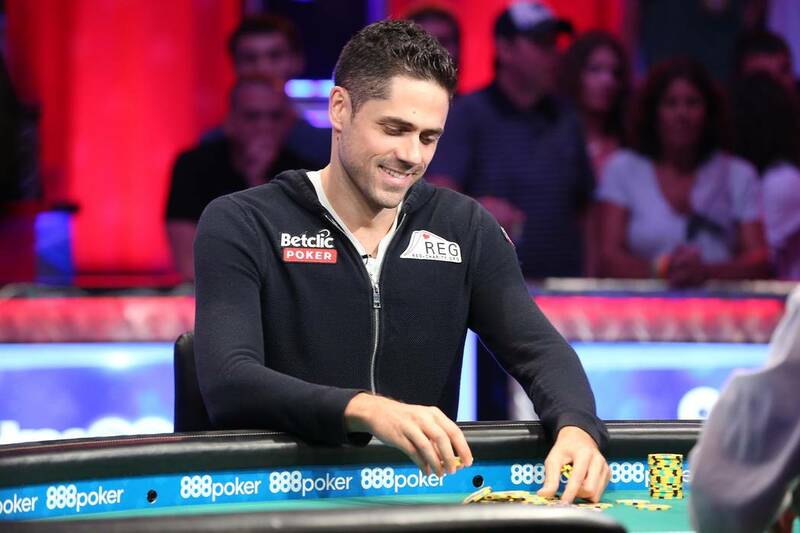 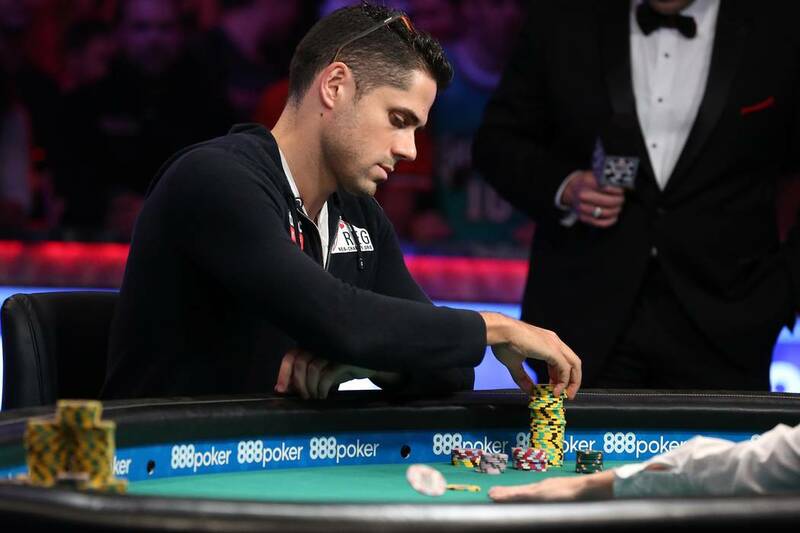 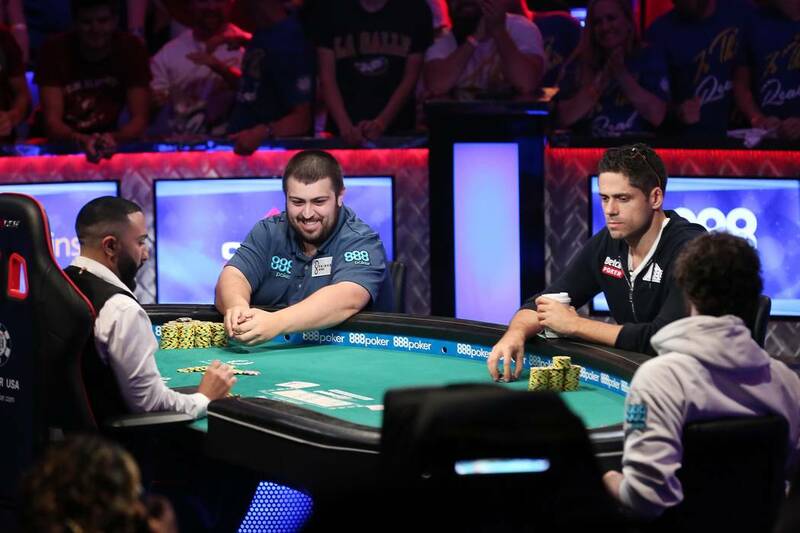 Blumstein outlasted a field of 7,221 entrants and led almost wire-to-wire at the final table. 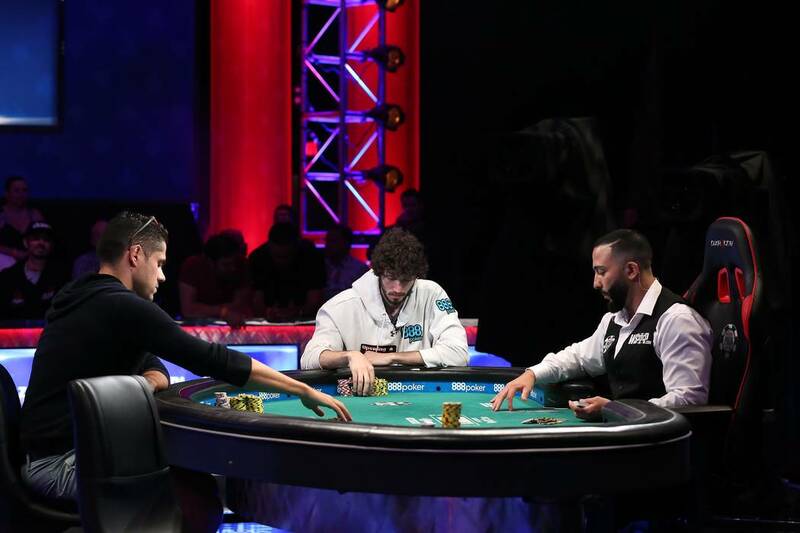 After grabbing the chip lead on Day 7, Blumstein was briefly overtaken on the leaderboard by Englishman John Hesp during Thursday’s final-table action. 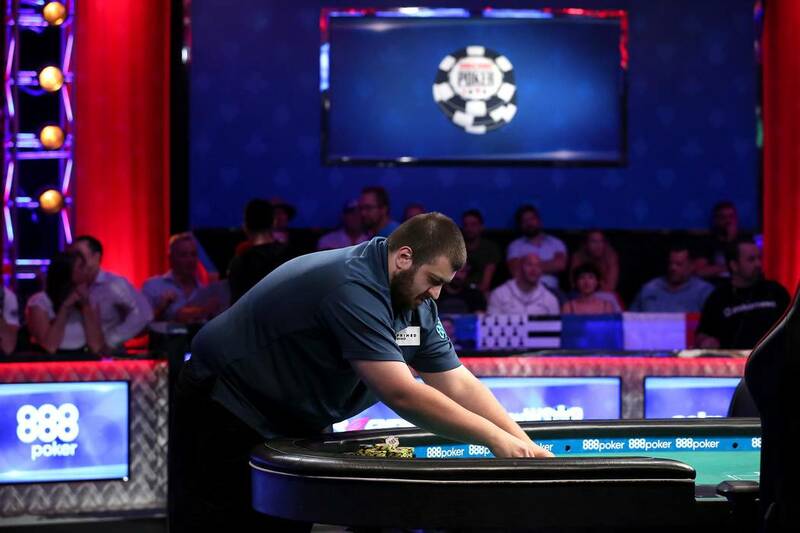 But Blumstein regained his advantage later that night in a pivotal hand against the eventual fourth-place finisher and never relinquished control. 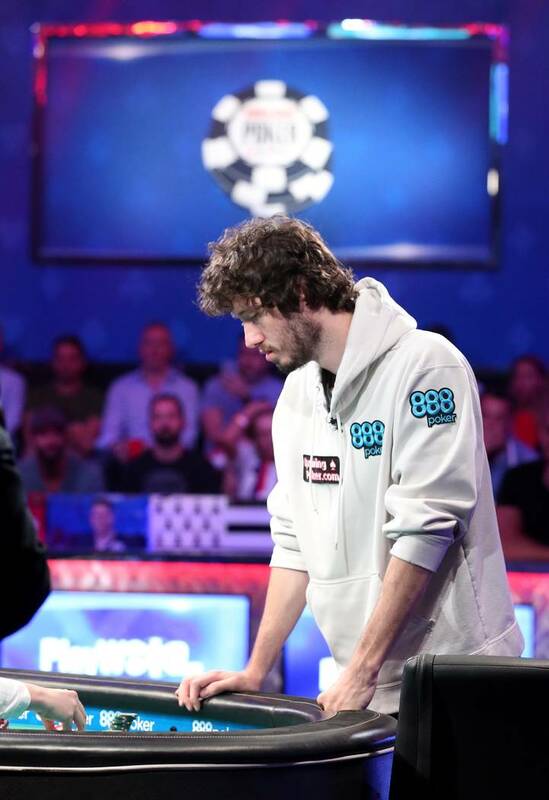 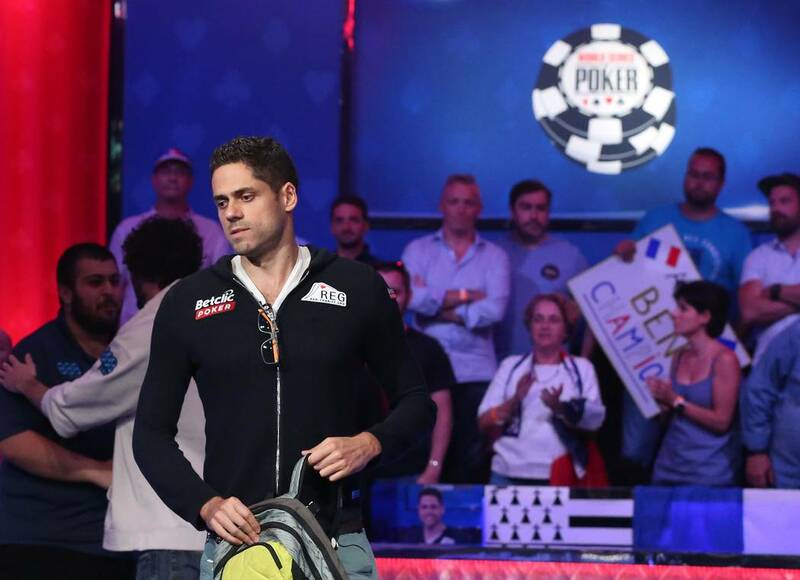 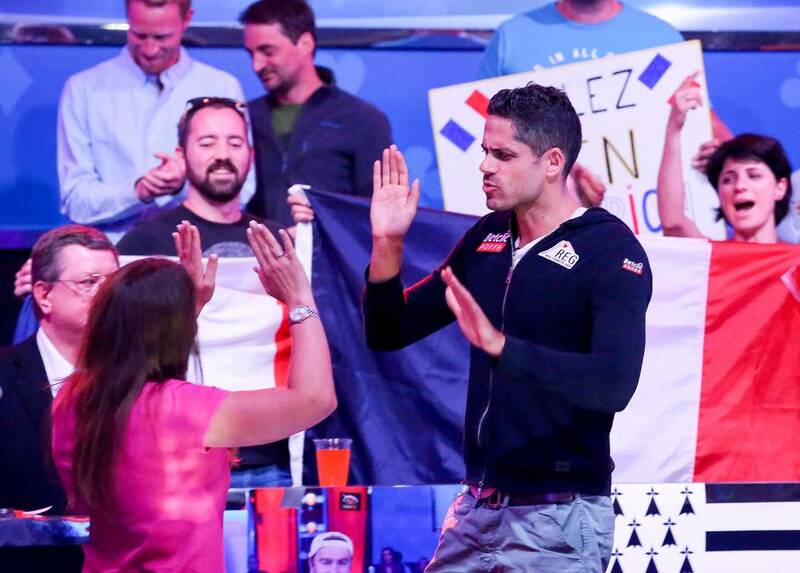 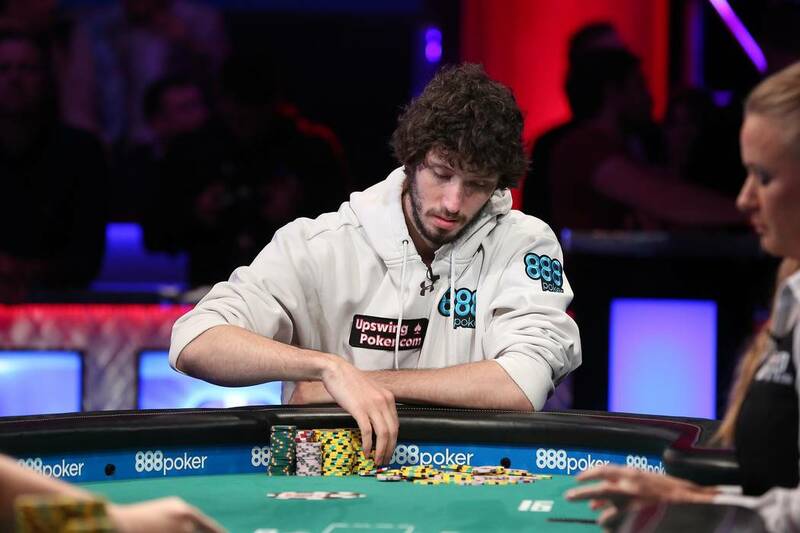 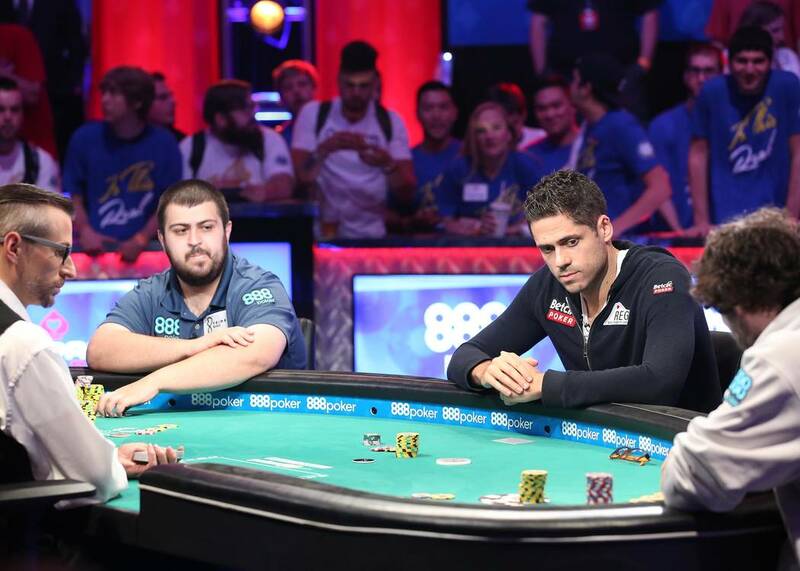 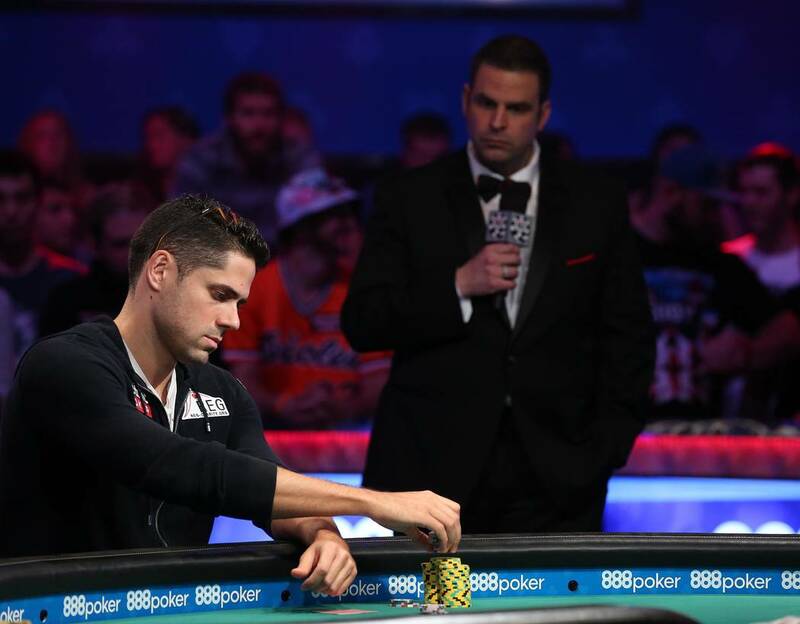 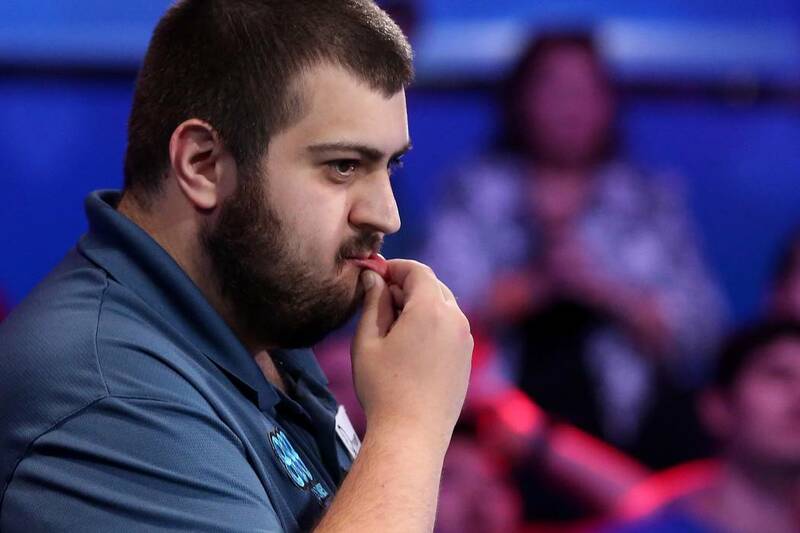 Blumstein eliminated France’s Antoine Saout in fifth place Friday in another huge pot to give him a commanding lead heading into Saturday’s action with more than 60 percent of the chips. 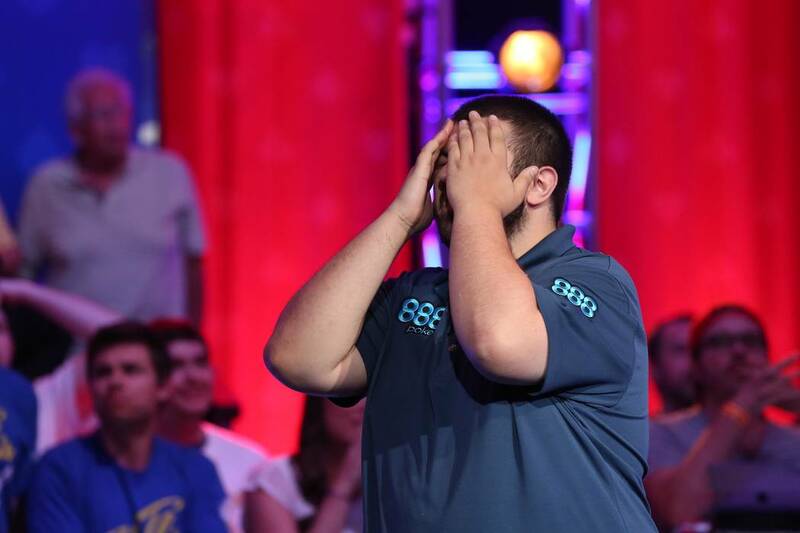 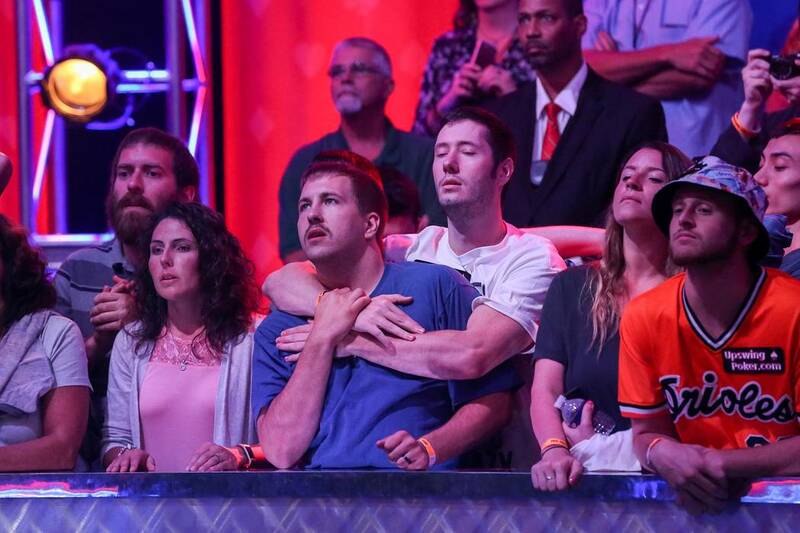 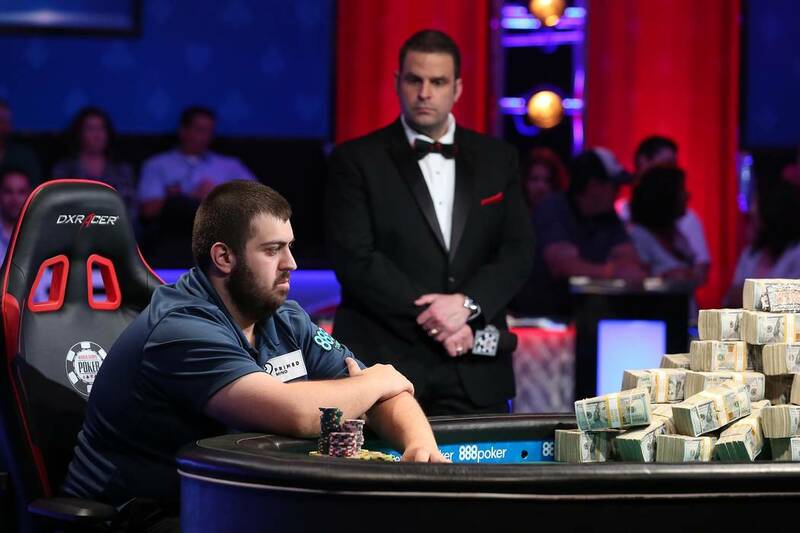 Blumstein ran a gutsy bluff against Ott early Saturday, and his victory came in dramatic fashion after 65 hands of heads-up play. 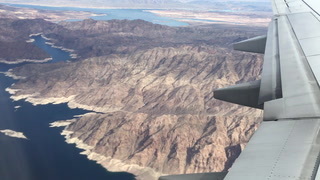 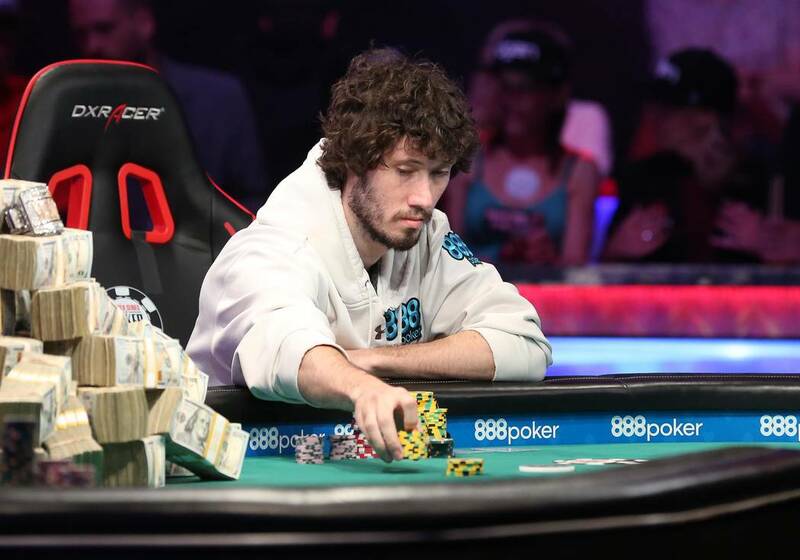 With all the chips in the middle, Blumstein held ace-2 and was well behind Ott’s ace-8. 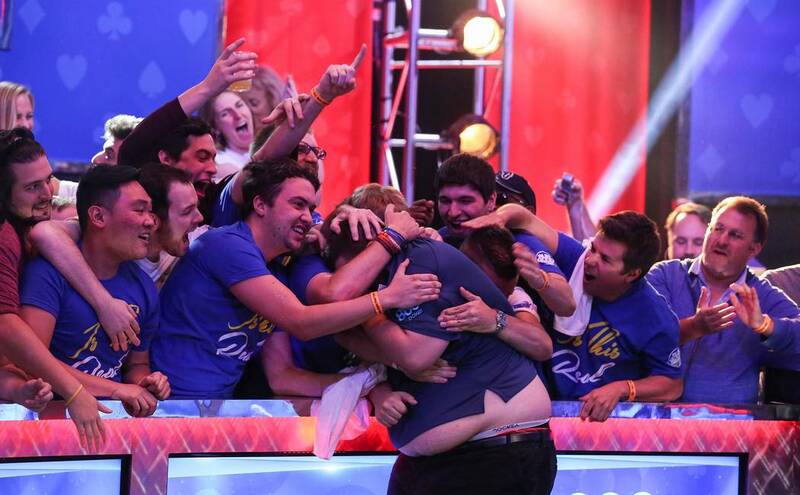 But the river paired Blumstein’s 2 to set off a massive celebration. 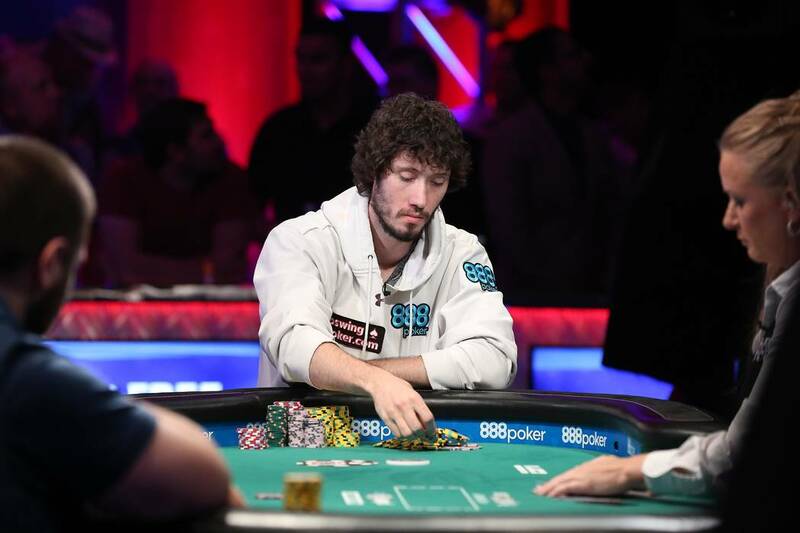 Had Ott held on to win the hand, he would have climbed back near 130 million chips and faced less than a 2-to-1 disadvantage. 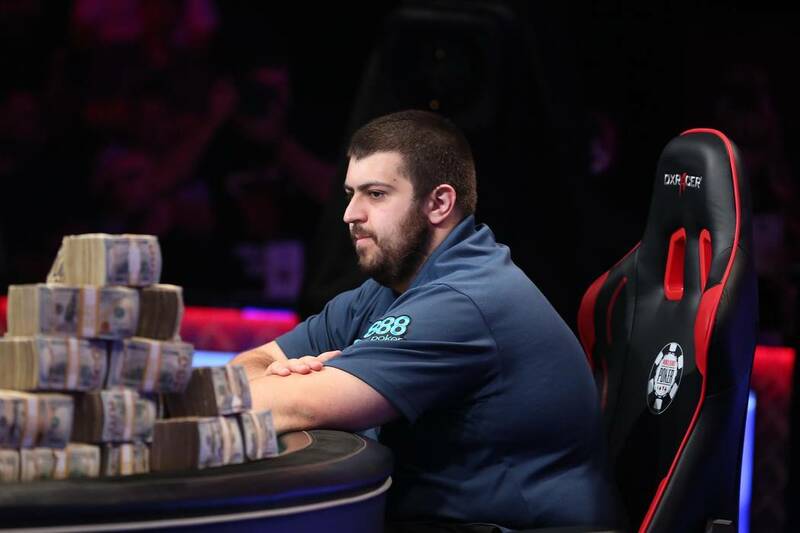 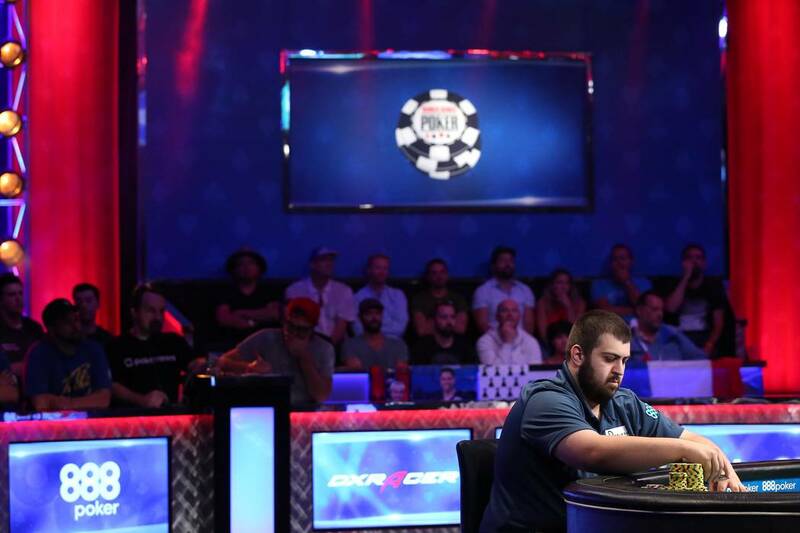 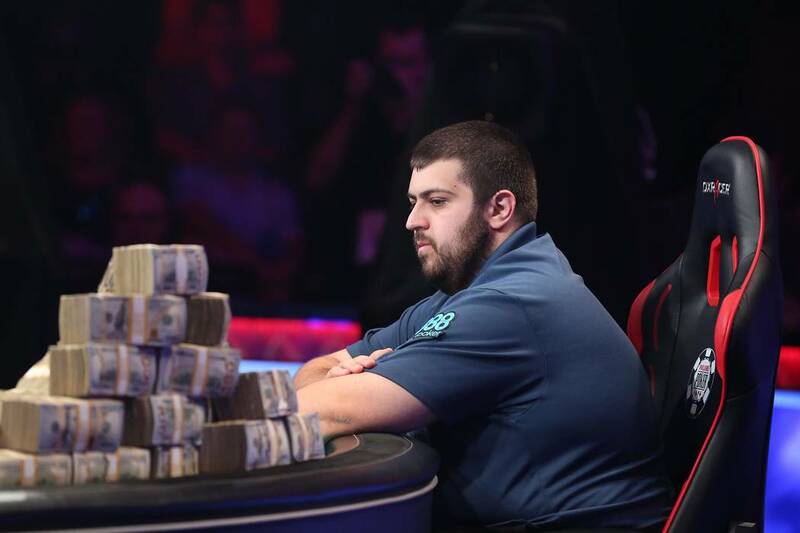 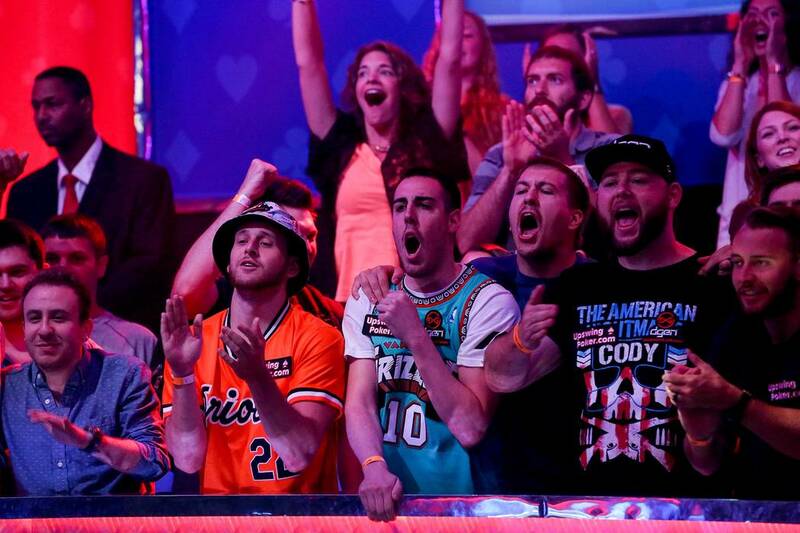 Ott, a 25-year-old poker pro from Altoona, Pennsylvania, took home $4.7 million in his Main Event debut. 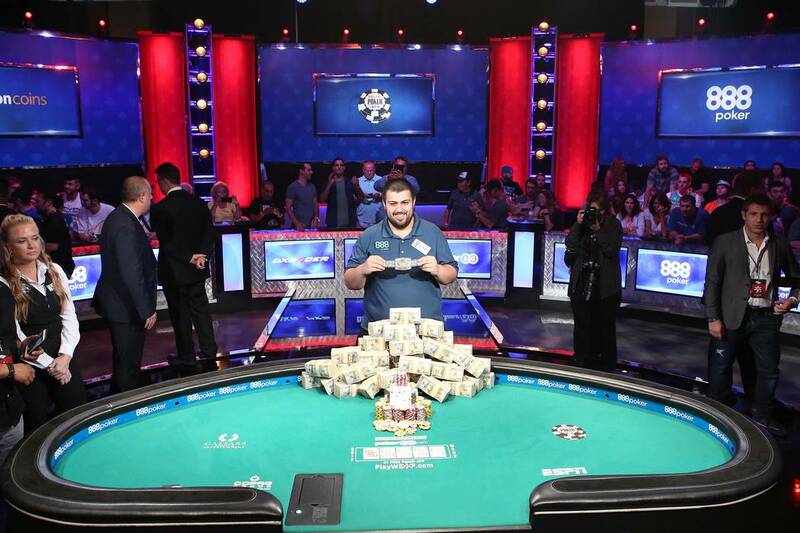 Minutes after clinching the win, Blumstein mentioned that his biggest thrill from the Main Event wasn’t the bracelet or the money — it was messaging with comedian and longtime poker fan Norm Macdonald. 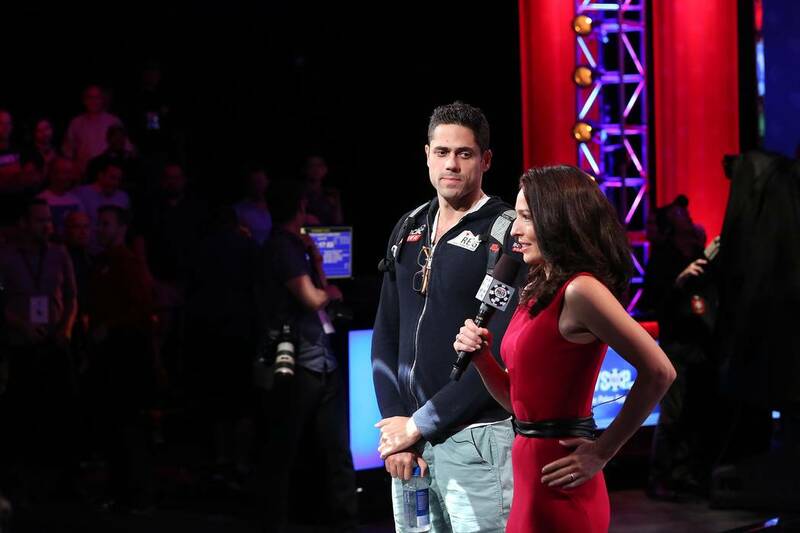 ”I don’t have an ego in this game. 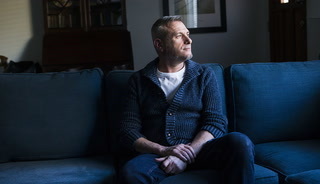 I check my ego at the door. 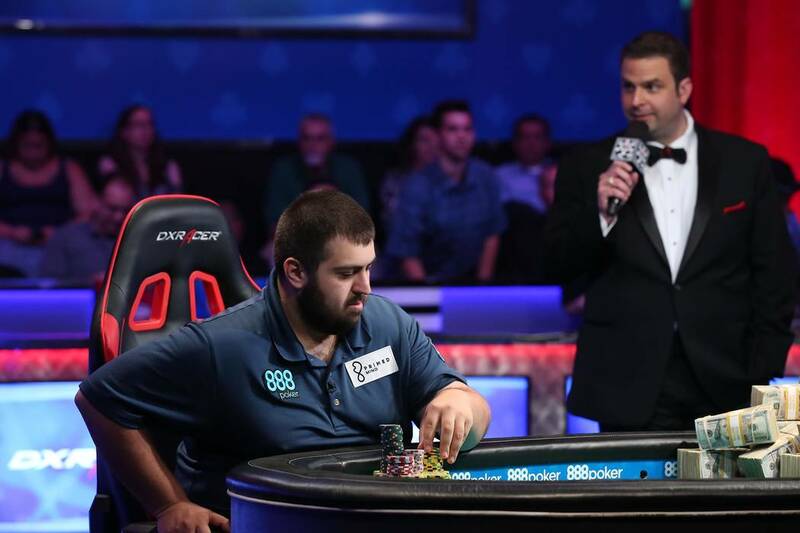 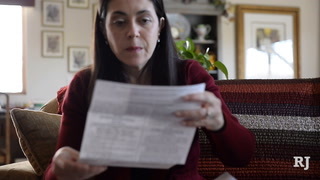 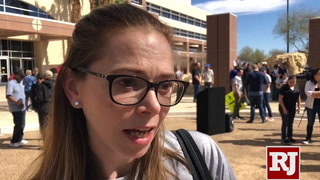 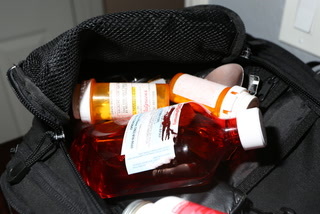 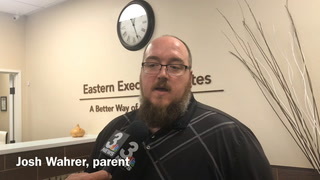 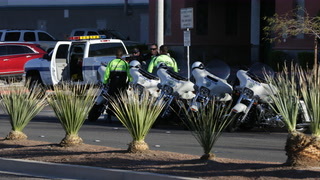 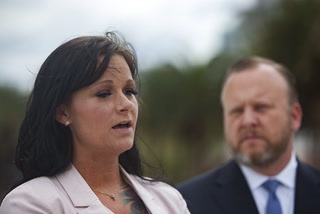 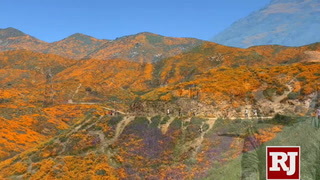 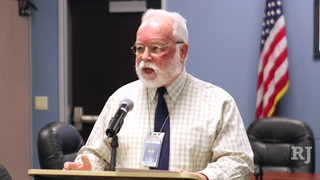 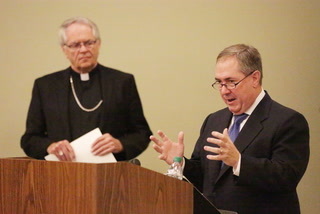 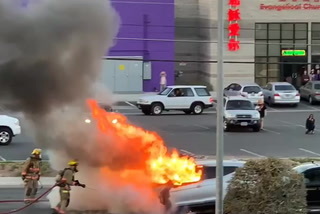 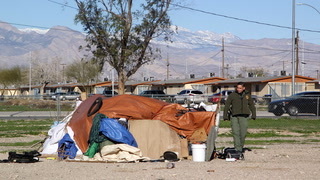 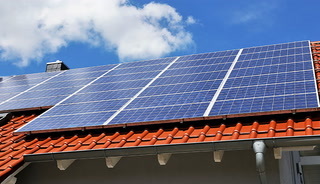 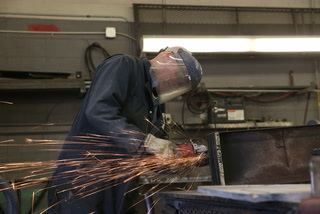 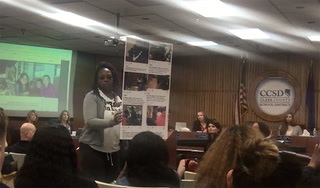 I know where I stand,” Blumstein said. 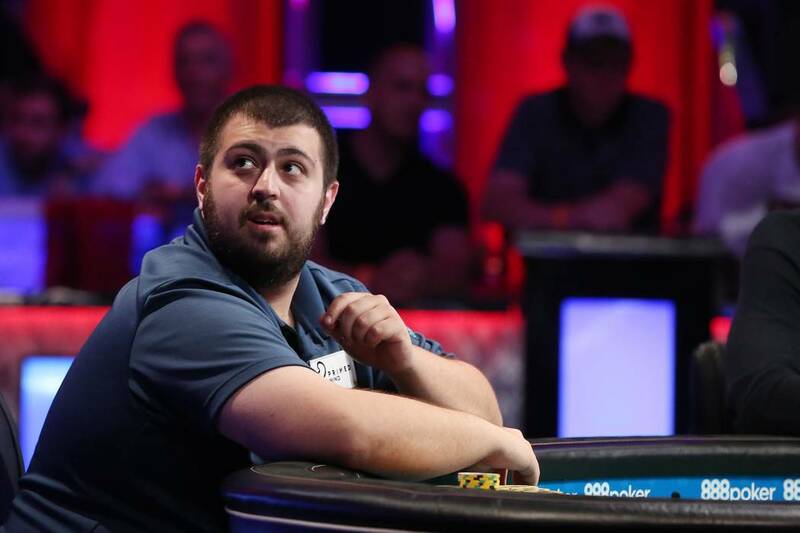 “I know two weeks ago I was just a New Jersey online grinder and nothing’s really changed.